This tour is a perfect choice for our guests who want to see Herzegovina and its world famous city Mostar with its UNESCO protected Old Bridge. We believe that this 14 hour tour can offer unforgettable memories and stir up your emotions. So if you want to do a daily trip, learn about beautiful Herzegovina its culture and try some of the traditional Herzegovina specialties, book in time your seat on this tour. During this tour we will visit the city of Trebinje (historically important and one of the most beautiful cities in Bosnia and Herzegovina), then Old Town of Stolac with unique necropolis of “stećak” (the medieval tomb stones), at the end we will visit the world famous old town of Mostar with its world known old bridge. Our first stop will be in the historical center of city of Trebinje. The guests will be able to visit the old town and the main city square and park where is perfect for breakfast or tea-coffee break. After Trebinje the road will lead us to Stolac, small but very historically important town in Herzegovina. 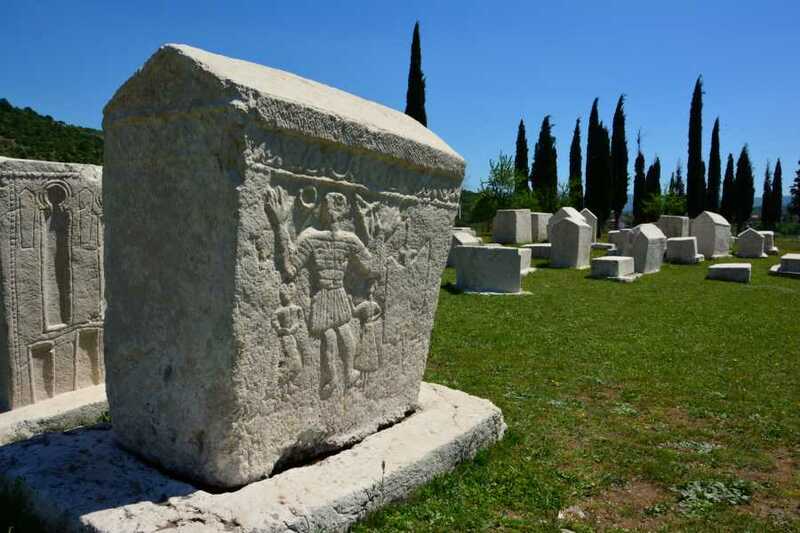 The town was built on the banks of the Bregava River and is very interesting thanks to the well known tombs (stećak) necropolis in Bosna and Herzegovina, with 133 tombstones. Our final stop will be the old town of Mostar with its legendary old bridge. Guest will have enough time to see the old town and have lunch in some of numerous traditional restaurants and for shopping in traditional bazaar. NOTE: Breakfast and lunch is not included in the price of the tour. The price of the tour includes licensed tour guide in English language. Tour is organized with an air-conditioned mini bus.